Later on in the poem I mention a collection I've recently been re-reading, shown in the photo above, published by Cinnamon Press. I like all the poems in Talking with the Dead (one review here) but my two favourites have to be Ghandi visits Cafe Nero, Boar Lane, Leeds - one I wish I could have written - and Angel, an ekphrastic poem on the very noticeable and fantastic metal sculpture 'The Angel of the North', by Antony Gormley, in the North East of England. I love his work, including the Angel, but also 'Another Place' at Crosby Beach near Liverpool. 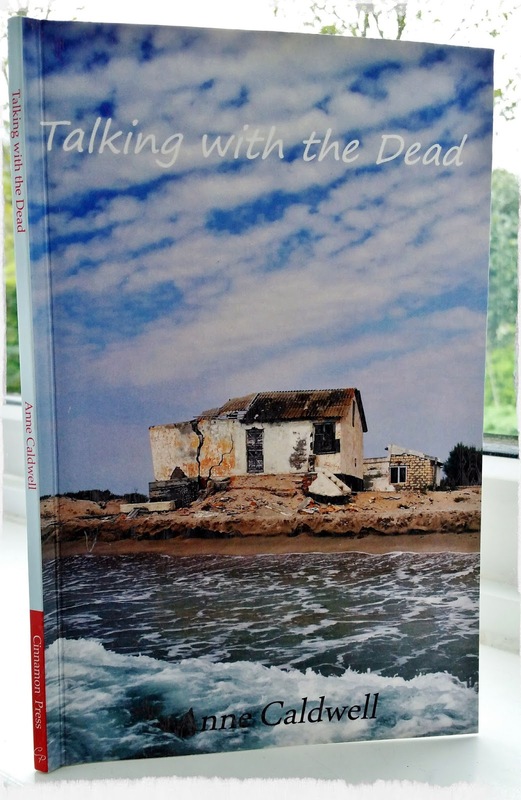 I have not yet managed to actually visit this but, inspired by it, I have written a poem, Digging and Diving, which won a competition back in December 2015. Details here on my blog. Labels: "Another Place" "Angel of the North" "Anne Caldwell" dead "Cinnamon Press" ekphrastic "Ghandi visits Cafe Nero, Boar Lane, Leeds" Angel "Digging and Diving"